To help you come up with tasteful, visually appealing designs, we have created this graphic design package, where you will get ready-made logo templates, corporate identity designs that you can use as mockups for your projects, etc. All the design items than we provide are fully-editable for you to save time on creating designs from scratch. HTML website templates are among the elements of this creative design bundle. These are fully responsive themes, both landing pages and multi-page websites, based on Bootstrap. All the files and code are accurately structured. The download files are easy to use and customize. Launch your marketing campaigns with creative social media & Google AdWords banners. Use PowerPoint templates to make business presentations. Use ready-made certificate designs as well as all other editable items that are included into the web design bundles for only $5. As a business owner with your own website, you will definitely make use of corporate designs, certificates, editable Facebook cover photos, icons, PPTX slides designs, etc. Download each and every element provided in this web design bundle at once. We´ll send you a download link to the email address that you specify during the checkout. Get high-quality logo design templates in 5 popular formats: AI, PSD. The colors and text are editable. Each logo is provided in vertical and horizontal versions. 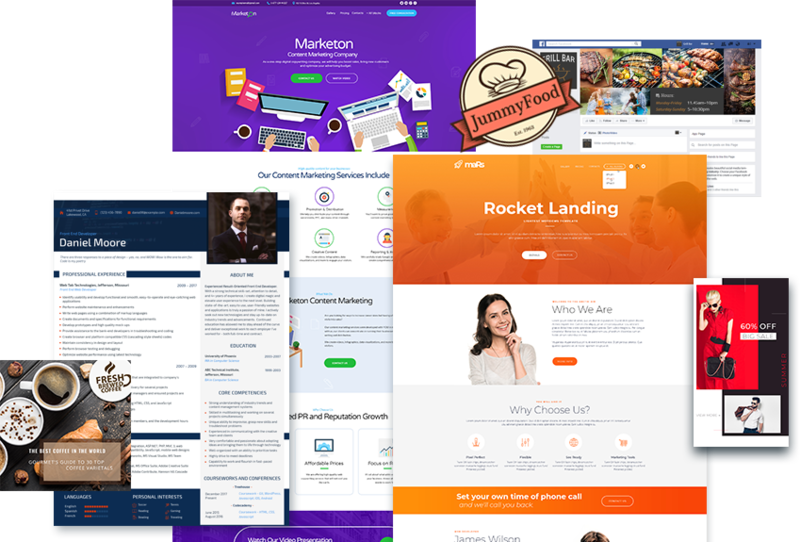 Use fully responsive landing page templates and multi-page web themes based on Bootstrap. Be sure the code is clean and structured. The files are easy to use and customize. Create a visually appealing look of your brand using one of the packages from our collection. These are Instagram post templates and images for Instagram story. The graphic design package includes PPT templates with unique slides for different businesses. PowerPoint slides include infographics, charts, maps, device mockups and more. Get an access to a collection of resumes for almost any job: business analyst, HR manager, dentist, barber, graphic designer, web developer, etc. The formats are PSD. Run an AdWords campaign quickly with professionally-designed graphics. Well-layered PSD AdWords banners in 10 top performing sizes are ready to download. Fb cover photos for floral designer, travel agency, grill bar and many more occupations and industries are here in this web design bundle. The files are compatible with Adobe Photoshop. Use PSD images for the most popular social networks (Instagram, Pinterest, and Facebook) either for your marketing campaigns or to complete design projects for your customers. Take use of corporate/business/branding stationery set. Corporate design bundles include business cards, envelopes, letterhead, presentation folder. No matter you are a designer or business owner you may need a set of customly designed icons. These are icons for contacts, job experience, hobbies and interests. Download a Photoshop-ready sliced YouTube cover template to inject the touch of style to your brand’s YouTube presence. Otherwise use it as mockup for your creative design. 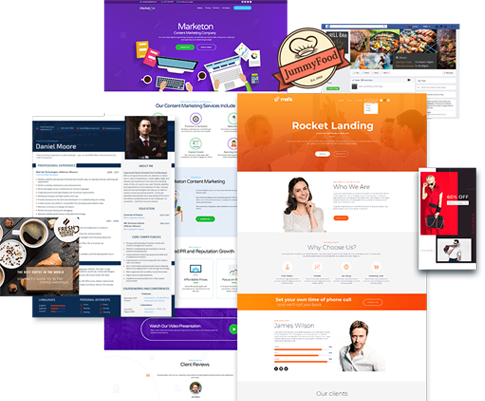 All award certificate templates in web design bundles are editable and suit for any kind of event, competition or learning course. Design news blog that was started in year 2009 by a team of writers passionate about design and trends. Now the team has grown and the community grows day by day. Here on DesignWebKit blog you may find materials about graphic design resources, web design trends, development courses, marketing practices and techniques. The free stuff that is provided for our readers is collected from the best online resources to ensure good quality of the products. Website building company with 10+ years of experience in developing CMS-based web templates. MotoCMS is a convenient, functional and easy website builder with a huge collection of designs for any business. Besides of the templates, the company specializes in providing custom web design and development services. The company’s mission is to provide both novices and pros with the enjoyable experience of website creation. The main advantage of this web creation solution is its fixed price, there are no hidden fees that users don’t know about.